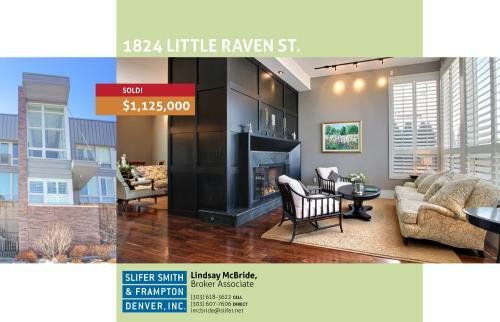 This stunning Brownstone offers elegance, sophistication and a fabulous downtown Denver location. No detail has been overlooked in this highly upgraded home. The main floor gourmet kitchen is a chef’s dream featuring Viking appliances, a large center island, gorgeous granite countertops and beautiful custom cabinetry. Plantation shutters filter an abundance of soft light through the spacious front windows highlighting the formal living room. A 12-foot ebony master-crafted wood room divider highlights a gas fireplace with a natural stone hearth on the living room side and ample built-ins on the dining and family room side. Walnut hardwood floors run throughout the main level. The upstairs features two bedrooms and two baths. The huge master suite has a spacious walk-in closet, a luxurious five-piece bath with natural stone and glass tile accents and a private balcony. If you enjoy entertaining or just spending quiet time outside, there is a lovely patio off of the main level that includes a gas line hookup for your grill. A common area English Garden provides a sense of serenity and calm. Top it all off with a private two-car garage with built-in cabinets, and you will find that this home offers everything you are looking for in downtown living. Don’t miss this opportunity to own one of the most distinctive residences in Riverfront Park.